Speed and Ease of ascent — Single rope ascents, are faster and more energy efficient. This is because you are climbing a fixed rope rather than a closed loop. The hip thrust technique requires more arm strength and some level of coordination. (Double rope climbing is easier if you use something to help involve your legs in the pulling process, such as a Klemheist foot loop or your lower ascender with the foot loops - but no faster). Ease of descent — Because the friction hitch used in the double rope technique can instantly be used to descended at any time, the double rope has the definite edge here. 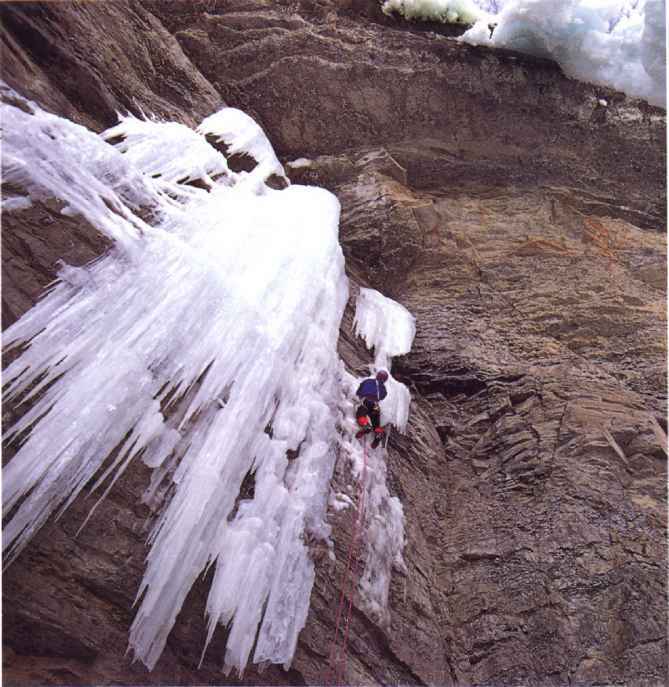 It is also safer since there is no switching of equipment for the descent as there is in single rope. This is of the ultimate importance to newcomers to the sport, simply for the piece of mind it offers. Flexibility in the tree — Again, because of the ease of switching from ascent to descent with the friction hitch, the double rope technique has the distinct advantage. Safety of the climber — The double rope technique has the advantage of ease and safety - along with the associated peace of mind - because the climber can move up or down without switching equipment. Safety of the tree — Because of the friction caused by the sliding of the rope over the limb the double rope rig can cause damage to the tree - especially thin barked trees like maple, beech and sycamore. Because of this, the use of the bark protectors (leather sleeves) or friction savers, is recommended. Since there is no sliding of a loaded rope over the limbs in single rope climbing, that technique has the advantage here. In practice, the single rope and double rope techniques are often both used in a climb. It is common to ascend to the first limb on a single rope, particularly if it is a high limb, and then switch to the double rope technique when in the tree simply for its flexibility and security. (Note: I only teach the double rope method in my beginner classes. There are two reasons for this: 1) because there is no changing of equipment during the climb, it is safer; 2) because there is less equipment involved, it is less costly for the beginning climber to get into.